Hi Y’All, come on over here and enjoy tasty gulf seafood and sweet tea before boarding the riverboat. It was my first time to Alabama and I already felt southern hospitality flowing along the banks of the Alabama River where we gathered to take in the sunset. Oysters, Shrimp and plenty of “Yes, Ma’am” added to my new adventure while swaying to the famous song, Sweet Home Alabama. 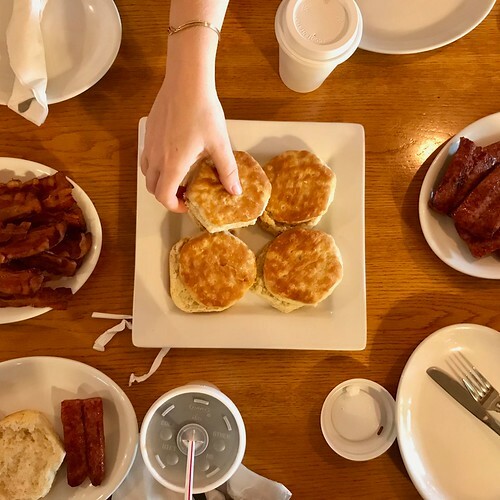 Montgomery, in the Deep South known for biscuits and grits, has reemerged with museums, golf courses, Shakespearian Theater, nightlife and darn good food. No wonder it’s at the top of places to visit in the USA. 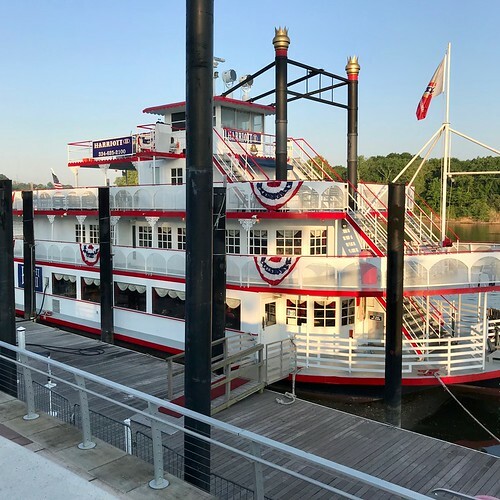 Routinely recognized for civil rights movements and the Civil War, Montgomery leaders banded together to move the city into a tourist destination, folding layers of history into places to explore, stay and dine. The newly dedicated Civil Heritage Trail loops around downtown for over 3 miles showcasing historical civil war and civil rights sites. The Montgomery Visitors Center has made the trail easy to navigate with maps, blue bike racks as markers and transportation options like a Segway to get around downtown. And all completed in time to commemorate the 50th anniversary of the Selma to Montgomery Voting Rights Marches and the 60th anniversary of Rosa Parks arrest and the Montgomery bus boycott. Learning about Rosa Parks takes place in an interpretive manner at Troy University Rosa Parks Museum. A guide walked my group through secluded rooms, telling the powerful story how the famous Rosa Parks refused to “move to the back of the bus” and the eventual bus boycott which intensified throughout the country. This interactive museum brings to life the events of the era with dynamic dialog around a replica public bus and lifelike community members gathered together near a 1955 station wagon. The well thought out museum is designed to encourage personal reflection and discussion. Dexter Street in downtown Montgomery where many pivotal events took place, appeared deteriorated with boarded up buildings and storefronts, yet redevelopment into trendy shops and cafes is in the works. Around the corner and standing out with grand columns is the Alabama Department of Archives and History which houses state records, including those of Civil War soldiers. The Museum of Alabama occupies the first floor with an impressive lobby lined with statues of famous Southern patriots. Marble from Sylacauga, Alabama covers the first two floors of this massive building from floor to ceiling including beautiful staircases. A look back into Alabama’s extensive history from prehistory, Native Americans, arrival of the Spanish, cotton picking and even former governor George Wallace and his ideals are on exhibit. The museum gives a real sense of how Alabama has strived, fought and survived over centuries. After a walk through the museum it is evident the past has been embraced and used to move into the future. Debbie Pendleton, Assistant Director for Public Services for the Archives, told me the archives were founded in 1901 and is rich in Antebellum and Civil War antiques. Items such as swords, guns and uniforms passed on through families donate them for preservation and as a way to show them to others. Over the years relics and time telling treasures found in old barns and fields have been identified and categorized making this building full of artifacts. Modern twists with Southern foods are evolving in contemporary restaurants and top chefs are on the culinary map. I had the pleasure to have dinner at Central Café where Chef Leo Maurelli raises bees for honey and uses produce from sustainable farms. School kids are learning healthy eating by growing vegetables through the E.A.T. South urban farming program where Chef Leo buys directly from their farm to use that day. Once a boarded up warehouse, Central Café is bustling before evening concerts and with those strolling in “the Alley” seeking food and drink. And when Mr. Jerry Kyser is there, wine paired with braised duck wontons, makes the meal more entertaining. Speaking with a distinct southern accent and jovial laugh, Mr. Kyser has been an integral part of Montgomery’s redevelopment projects and staunchly committed to its success. He explained when the city looked bleak with little future hope, he and other community leaders dug deep and accomplished their redevelopment vision. Mr. Kyser doesn’t hold back about the good and bad history which has shaped Montgomery and said there’s no denying it all can be used to move them into the future. I couldn’t leave town without trying honest to goodness soul food and found it at Mrs. B’s restaurant near the entrance to the Maxwell Air Force Base. Mrs. Boyd has been serving collard greens, fried chicken and cornbread to hungry folks from a renovated house and the line wraps around the corner to eat her southern comfort food. 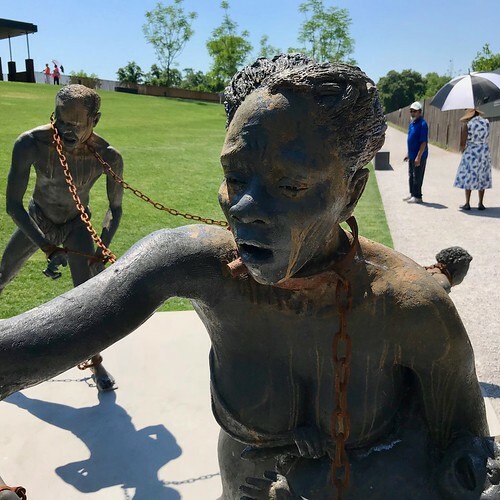 It’s said the past teaches us about the future and revitalized Montgomery, Alabama is doing just that by embracing the past and showcasing the future. Thank you to The Alabama Tourism Department and Montgomery Chamber of Commerce Convention and Visitors Bureau for making much of this trip possible. Some photos courtesy of The Alabama Department of Archived History. Alabama is quite the intriguing place … thanks for an in-depth look at its capital! The south, in general, is full of amazing historical spots, great food, and great hospitality. Some of the most consistently nice experiences I’ve ever had in the country during my road trips has been in the south.